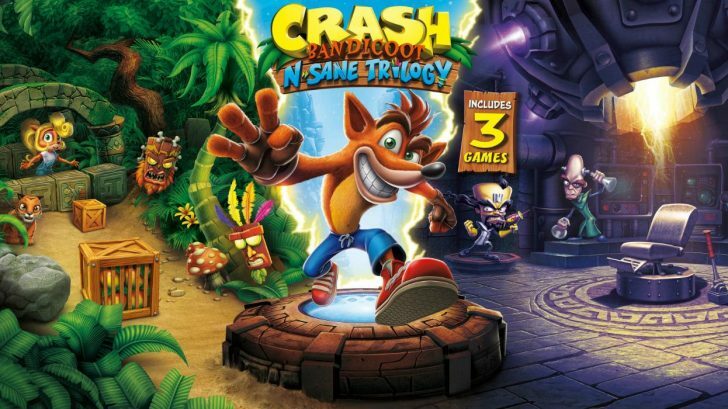 It seems like nothing can slow the Bandicoot down as the weekly UK sales charts for the week ending July 14th are in and the Crash Bandicoot: N.Sane Trilogy is No.1 again for the third straight week. The Xbox One version continues to sell slightly better than the Switch version in the UK but the Switch version is performing the best overall in the Europe region. The next three spots are all taken by new releases with LEGO The Incredibles taking the No.2 spot this week. It just narrowly beat out Octopath Traveler on the Nintendo Switch which debuts at No.3. Octopath Traveler performed very well having sold more than double what both Bravely Default and Bravely Second debuted at. It’s also impressive that it almost beat out LEGO The Incredibles considering that game is on multiple platforms and this one is Switch exclusive. No.4 this week was another new release in Captain Toad: Treasure Tracker which moved over from the Wii U to both the Nintendo Switch and Nintendo 3DS this week. God of War continues to show impressive legs moving up one spot to No.5 this week. You can read the full top 10 sellers below.